2. High reliability at high current stress. Shreem low voltage capacitors are designed and manufactured with most advanced technology which can sustain 10% to 25 % of harmonic generating load (w.r.t total connected load) and provide complete range of P.F. correction system. Our customers can purchase from us APP Type High Tension Capacitor. These products comply with the set industry standards and are available for our customers in varied specifications. We are looking from enquiries from Gujarat. 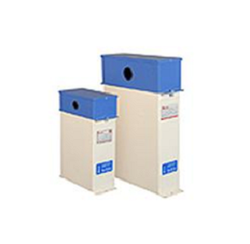 shreem's pole mounted capacitor banks provide an economical way to apply capacitors to a distribution feeder system. This is a type of Power Capacitor being authorised dealers of Shreem Capacitors Pvt Ltd Jaysingpur .